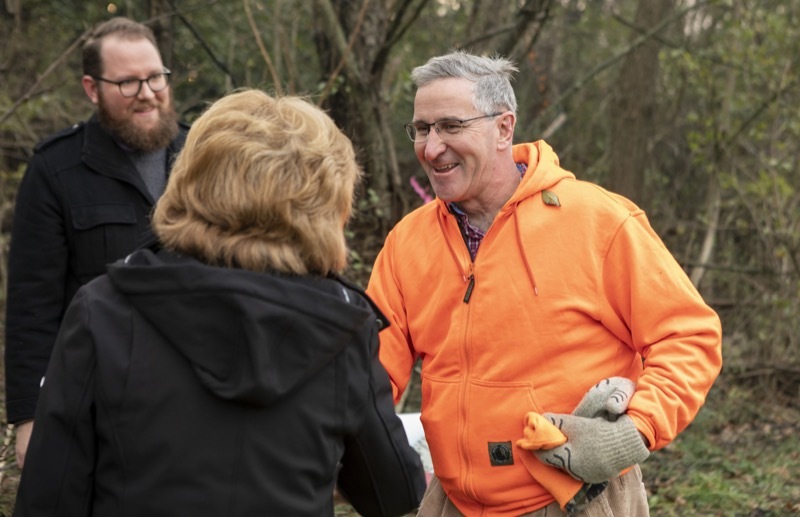 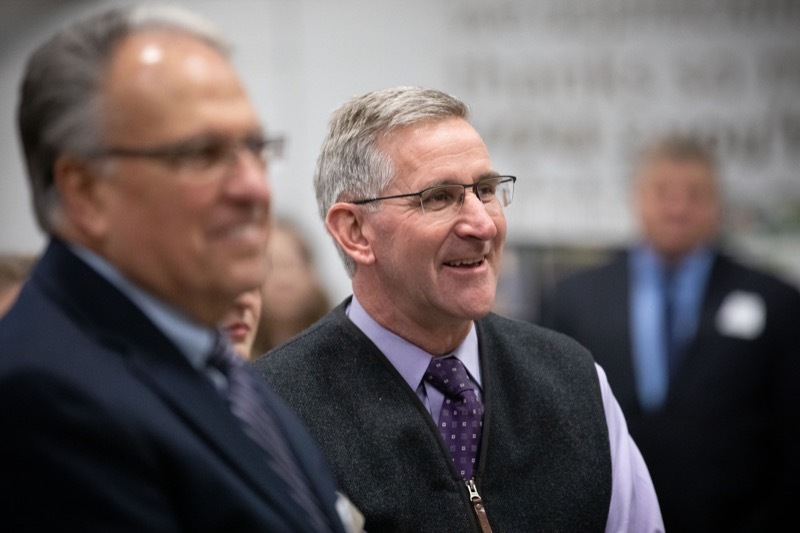 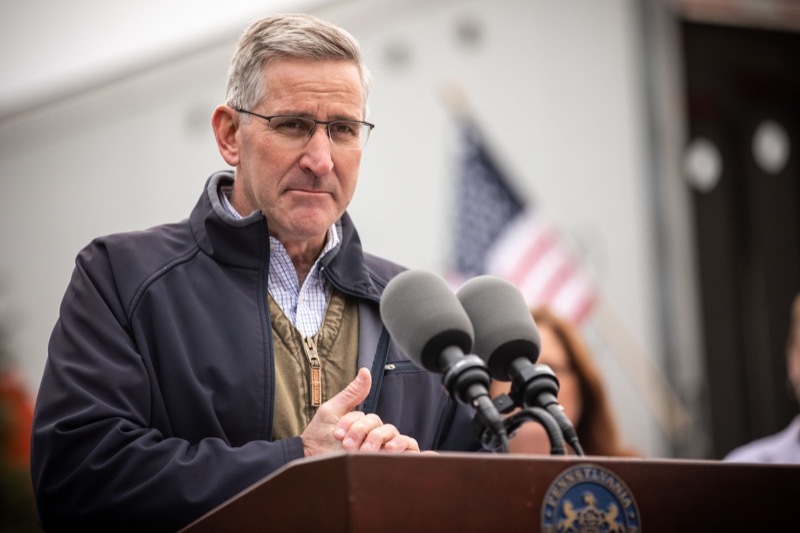 Agriculture Secretary Russell Redding and Maj. Gen. Tony Carelli, Pennsylvania's Adjutant General and head of the Department of Military and Veterans Affairs (DMVA), today helped kick off the 2018 Trees for Troops weekend, encouraging Pennsylvanians to donate Christmas trees to active-duty military and their families. 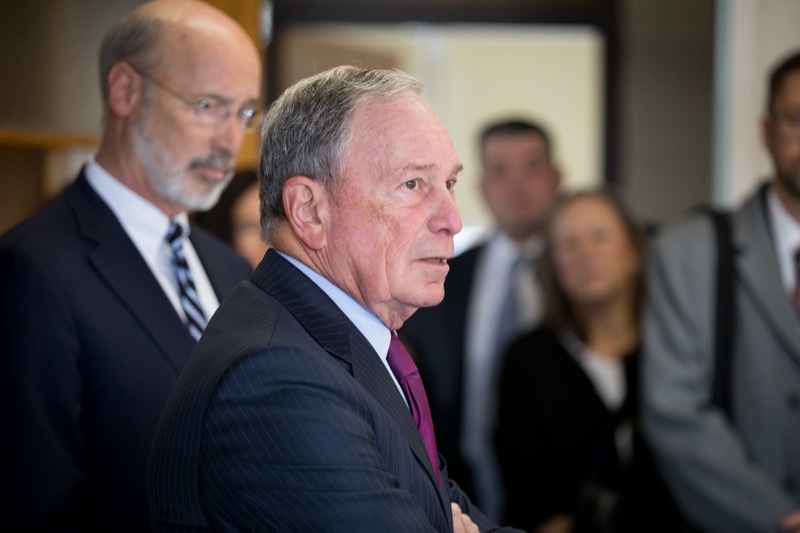 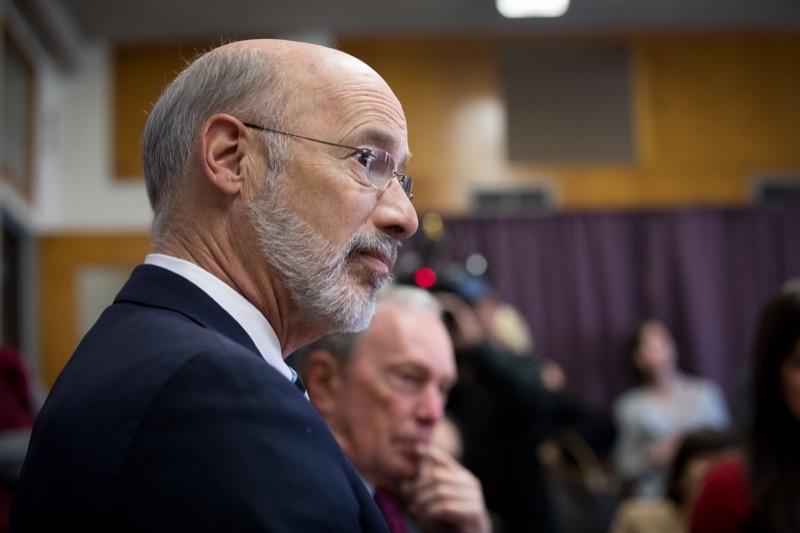 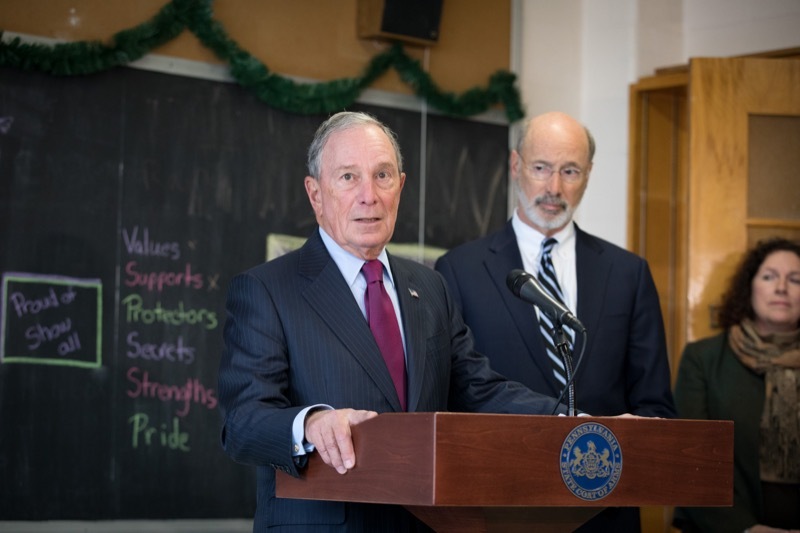 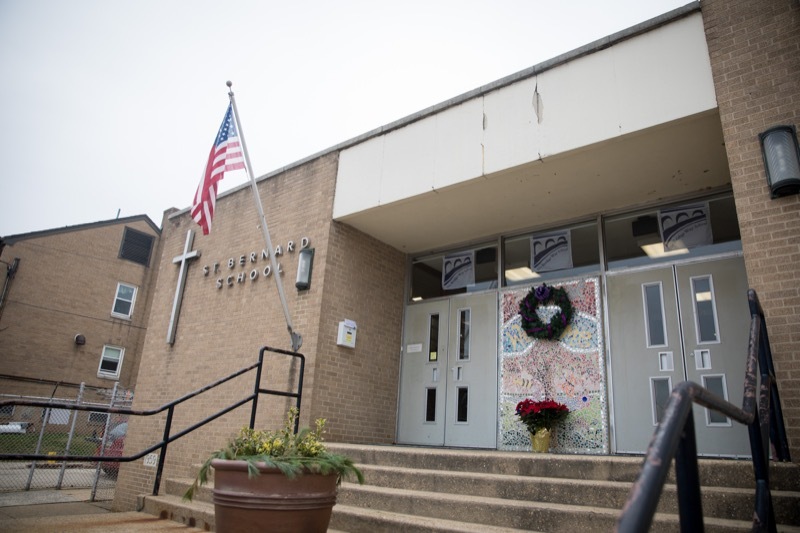 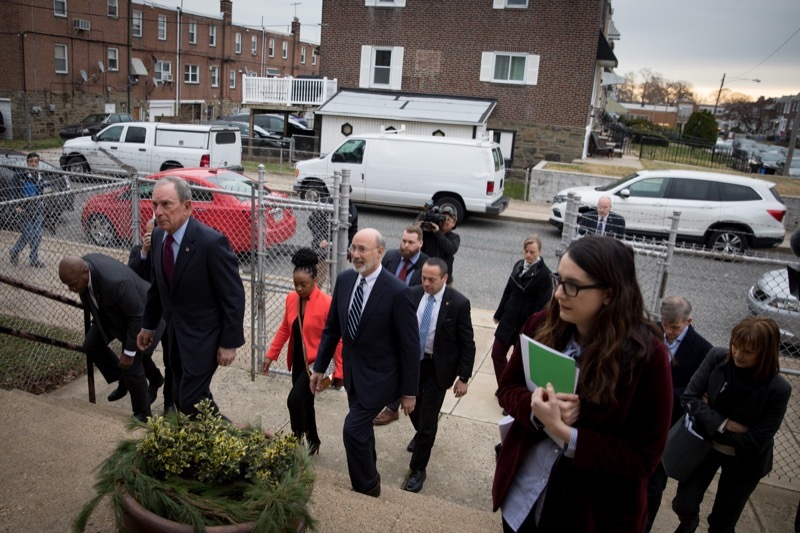 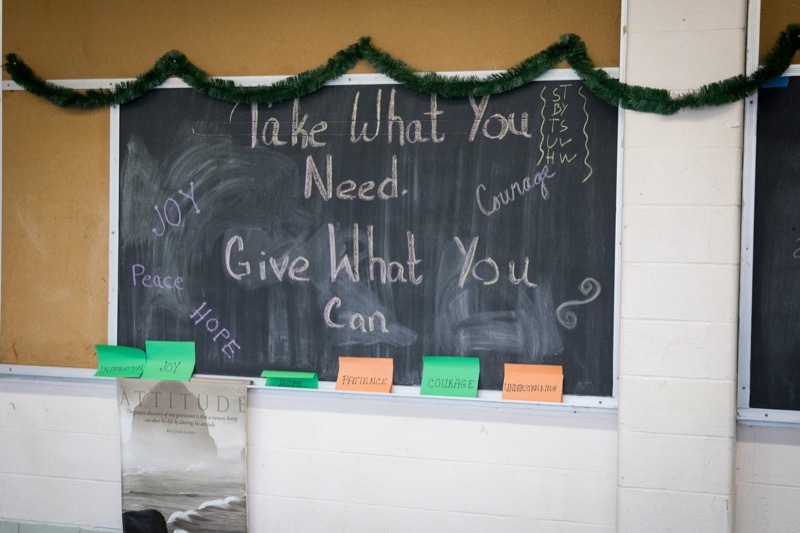 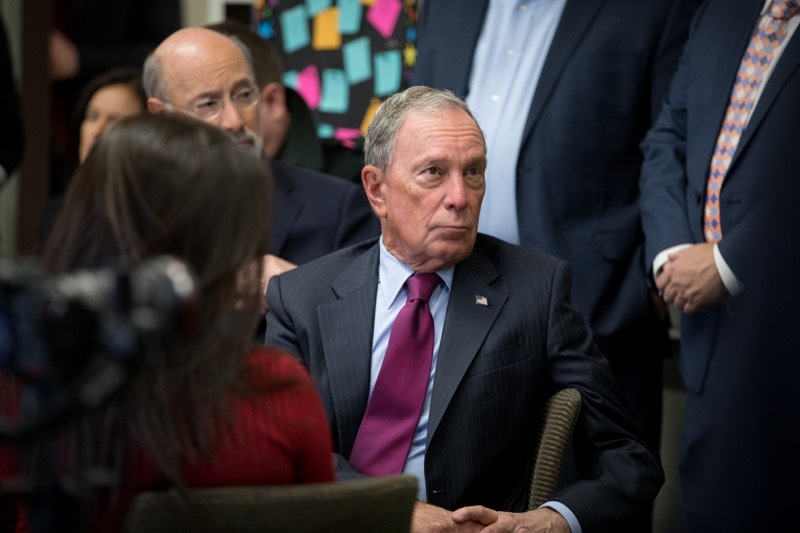 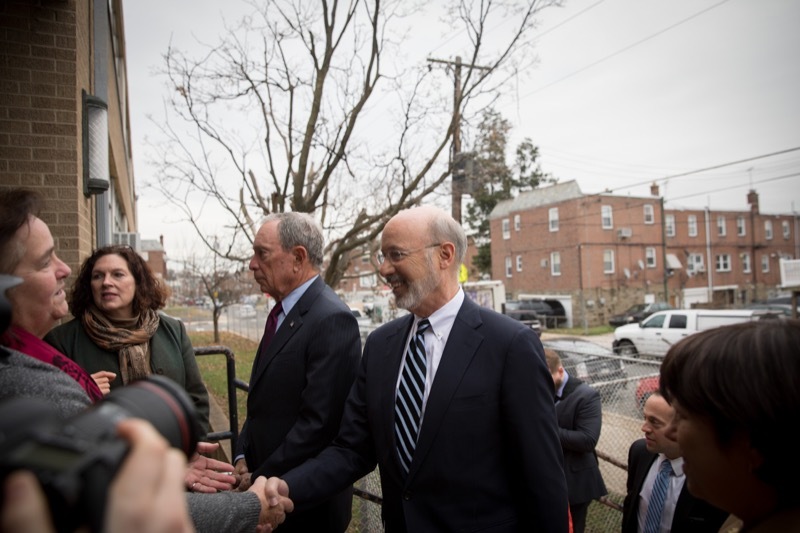 Pennsylvania has been selected as the first state to participate in a groundbreaking initiative from Bloomberg Philanthropies designed to strengthen state and local opioid prevention and treatment efforts. 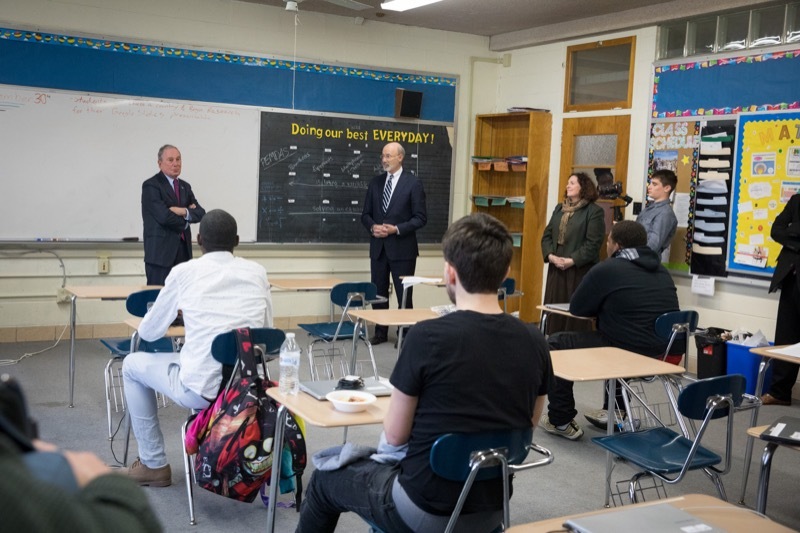 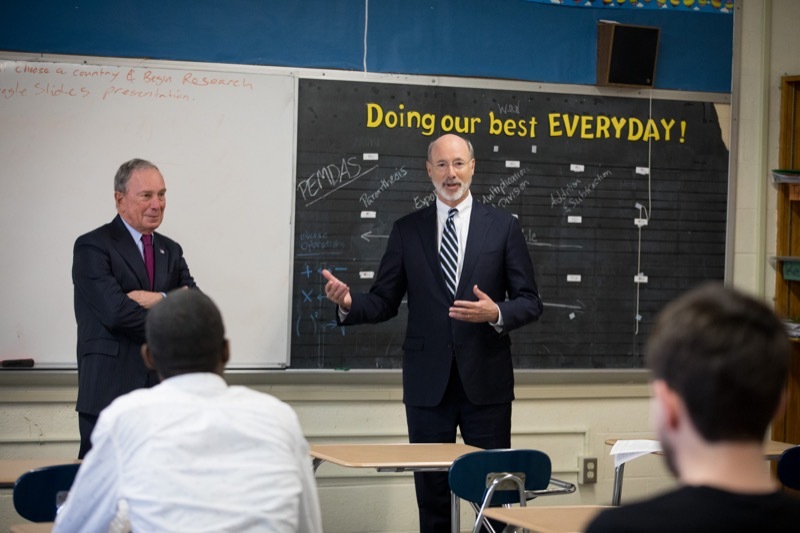 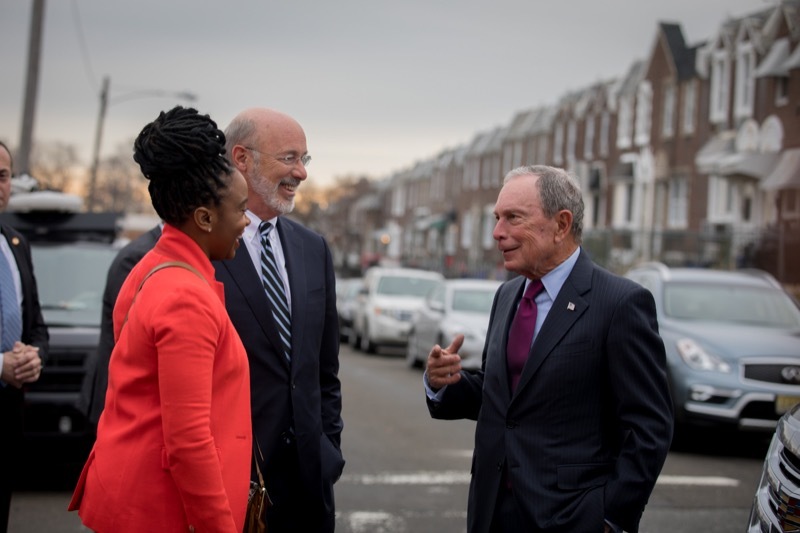 Governor Tom Wolf accepted a $10 million grant this morning from Michael Bloomberg - founder of Bloomberg Philanthropies and World Health Organization (WHO) Global Ambassador for Noncommunicable Diseases - at the inaugural Bloomberg American Health Summit in Washington, D.C. 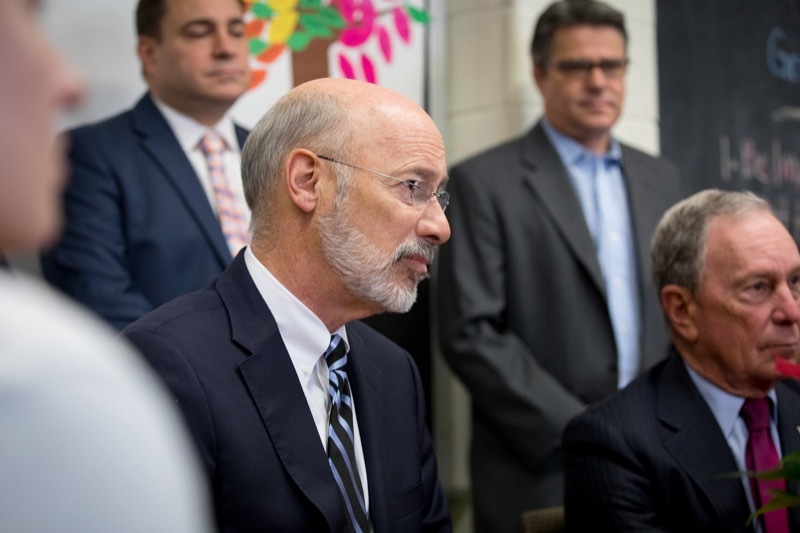 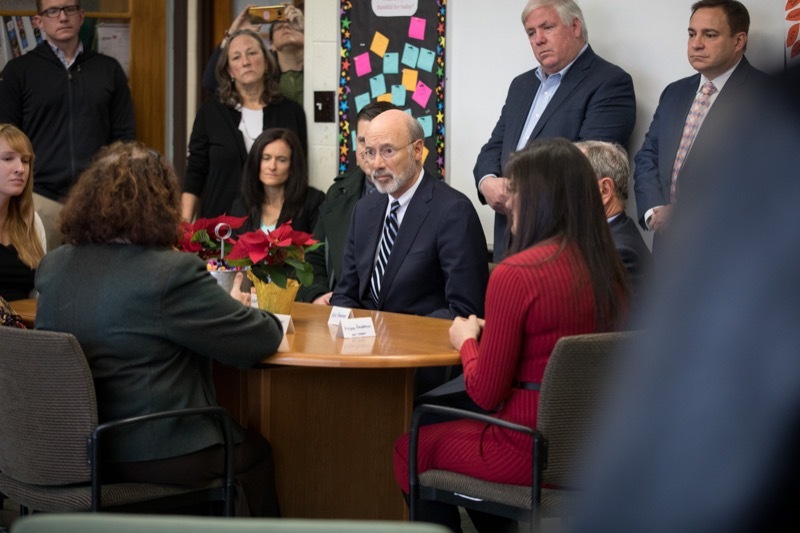 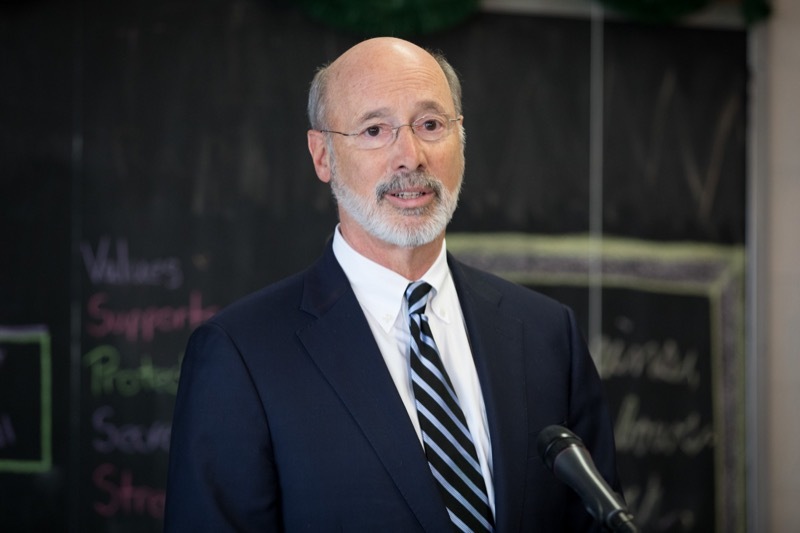 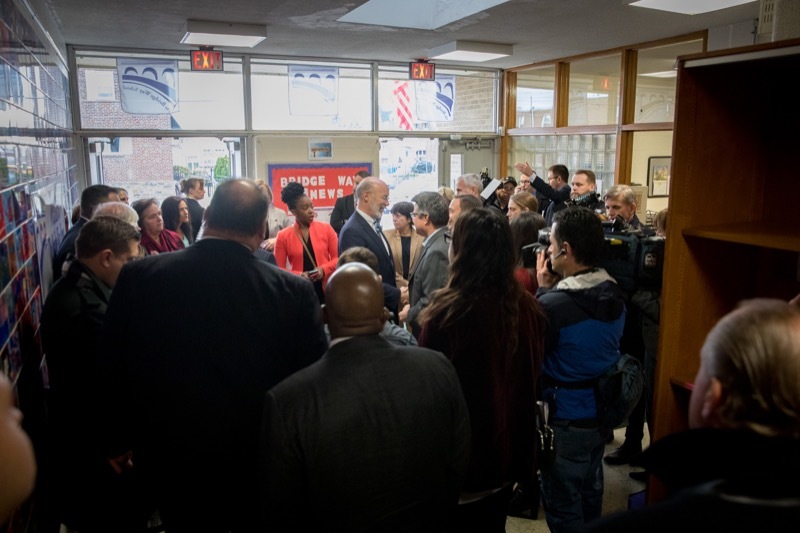 Governor Wolf was a featured speaker at the event, describing his administration's approach to reduce the number of Pennsylvanians addicted to opioids. 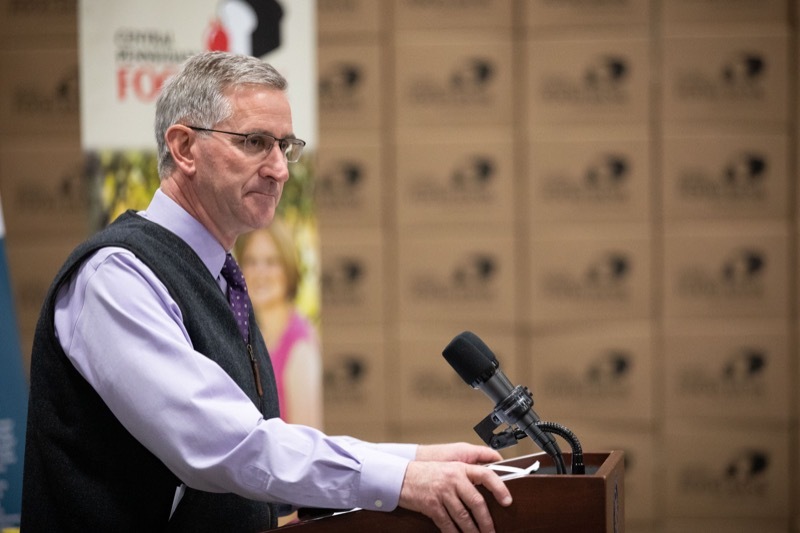 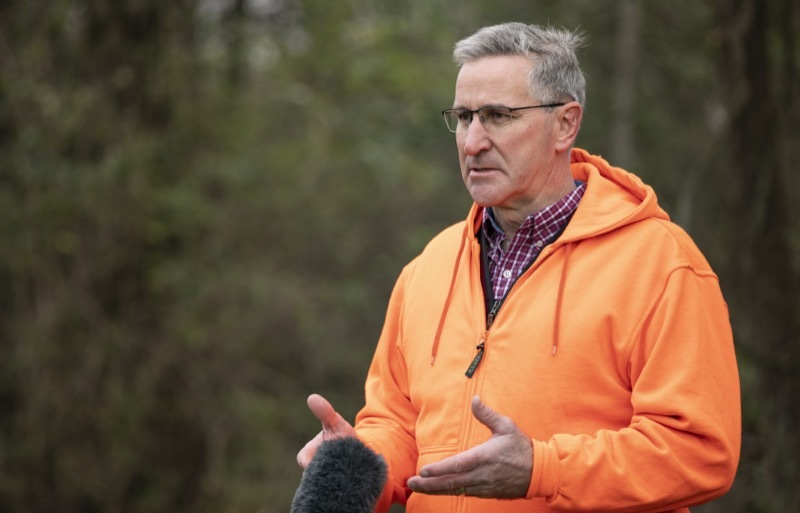 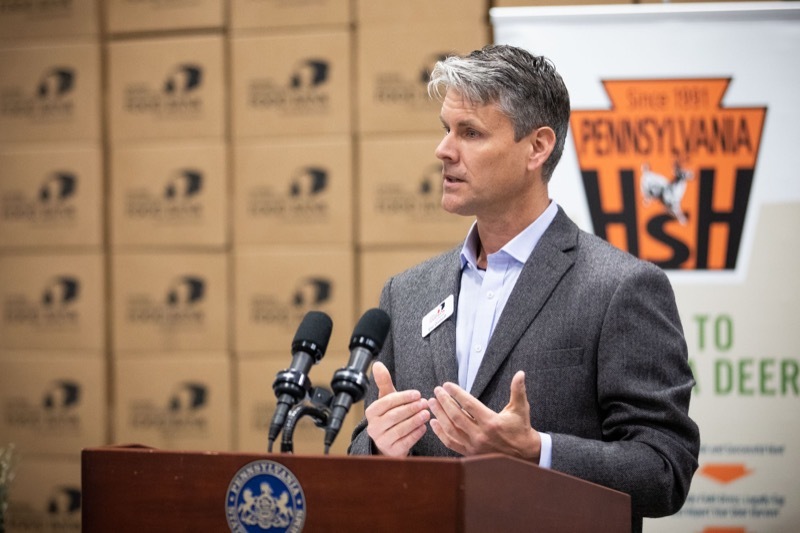 HARRISBURG - Calling for a community approach to saving lives, Auditor General Eugene DePasquale today released his special report on firearm safety outlining new ways in which Pennsylvania can curb deaths and injuries without changing existing laws. 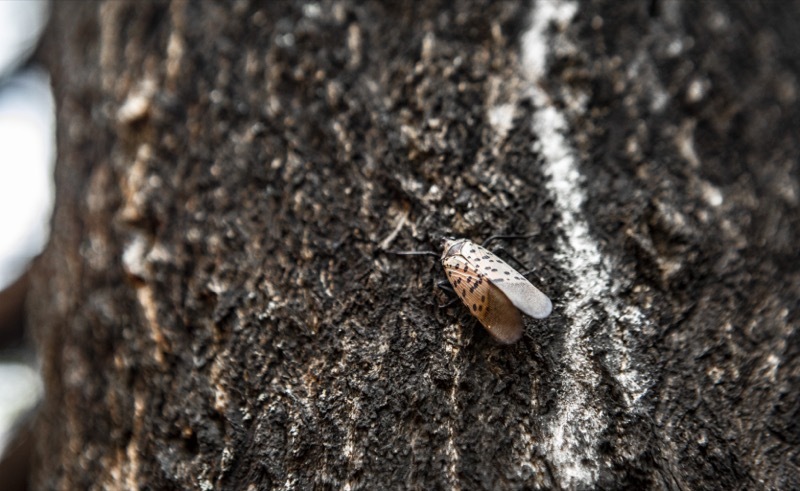 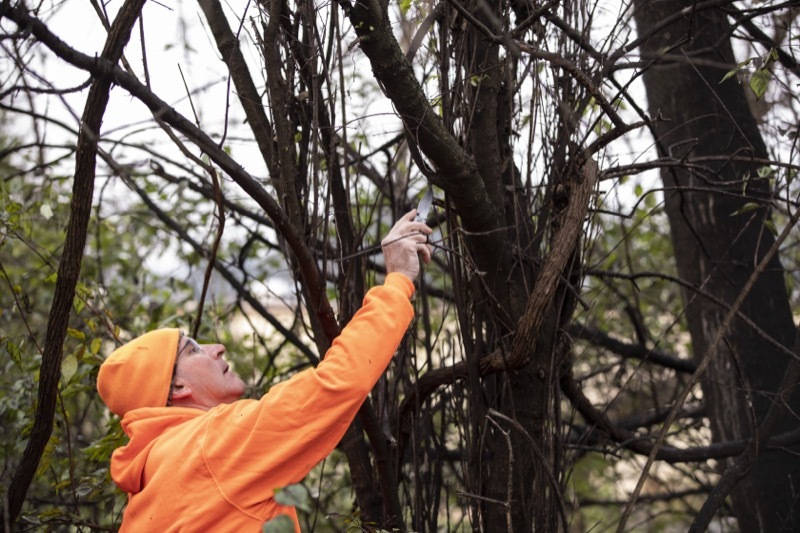 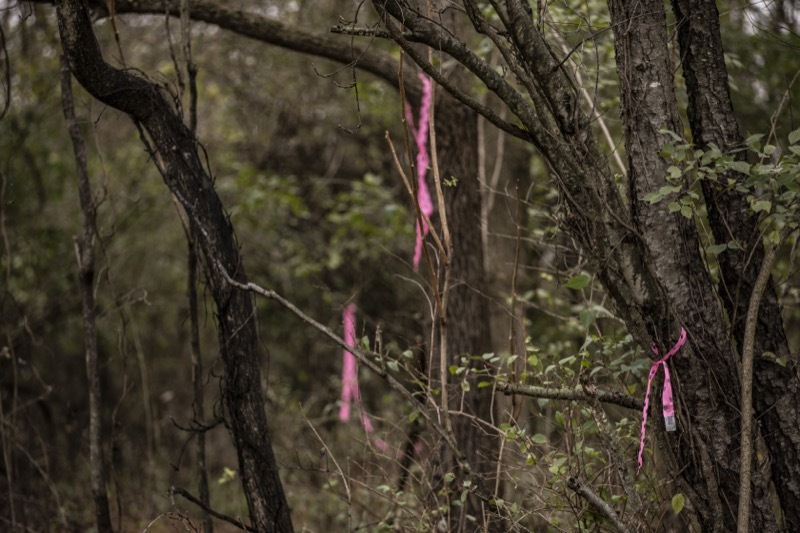 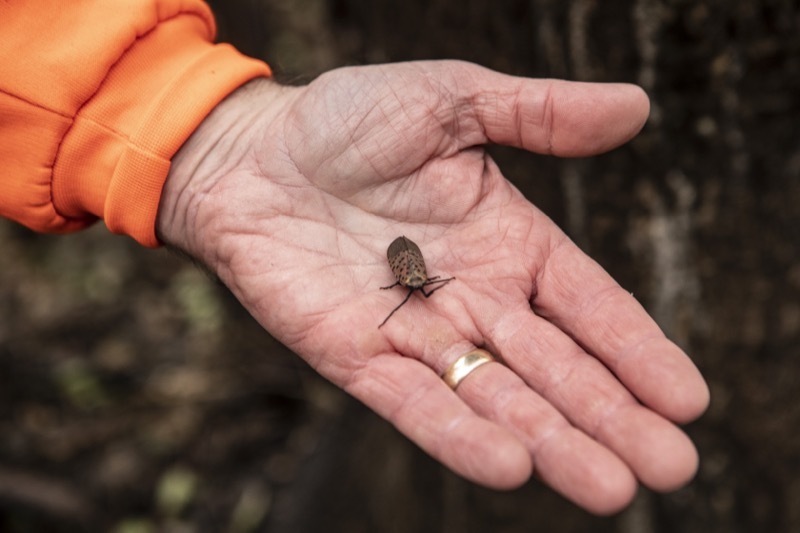 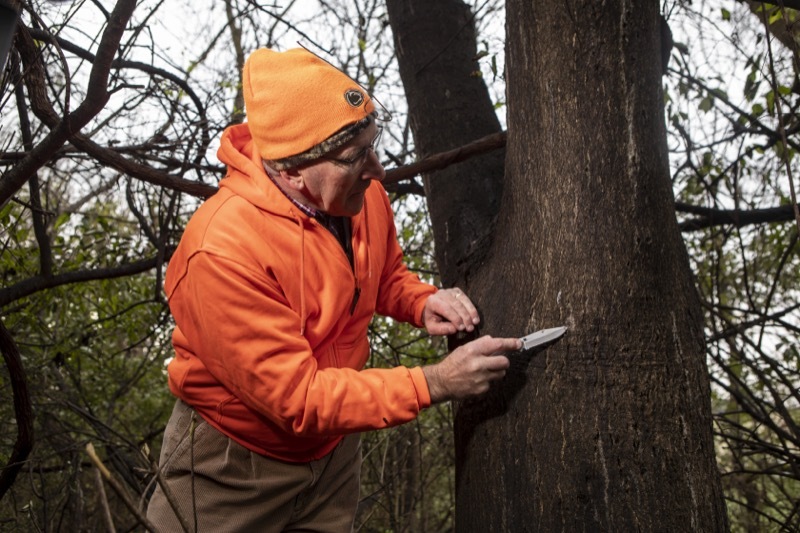 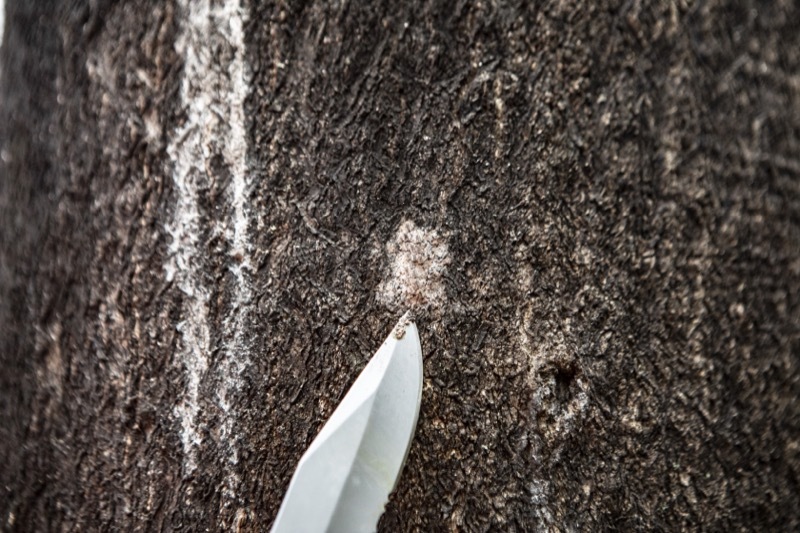 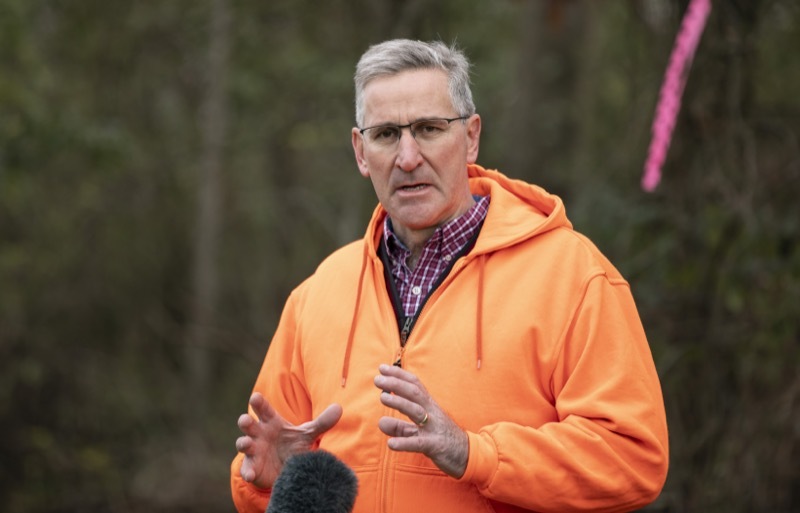 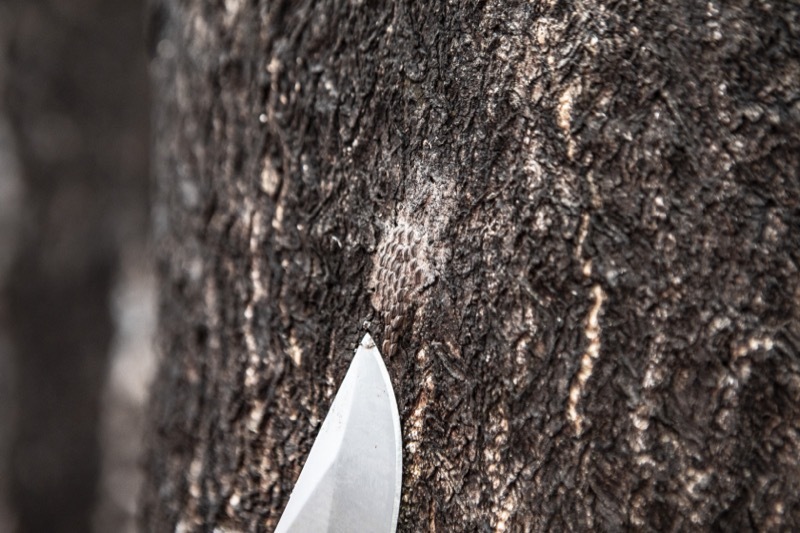 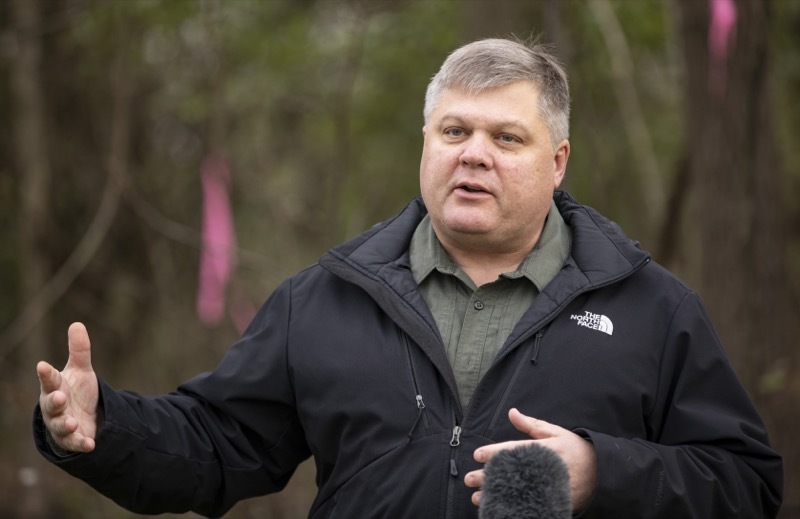 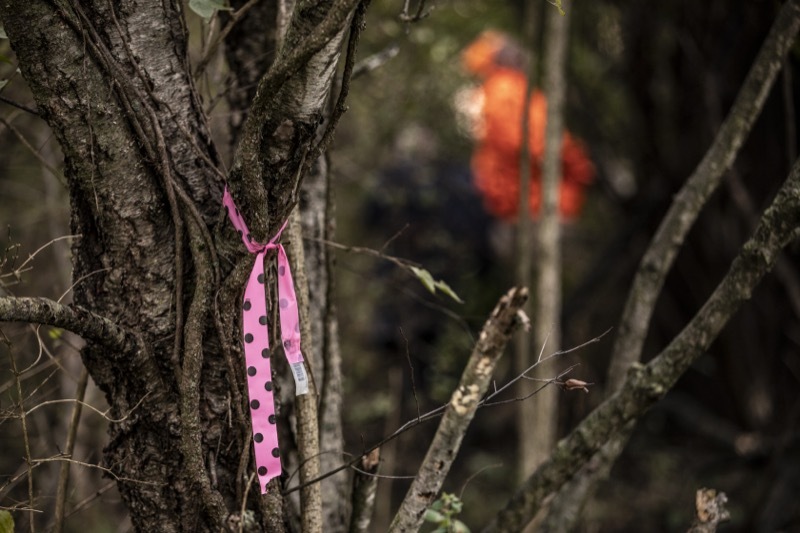 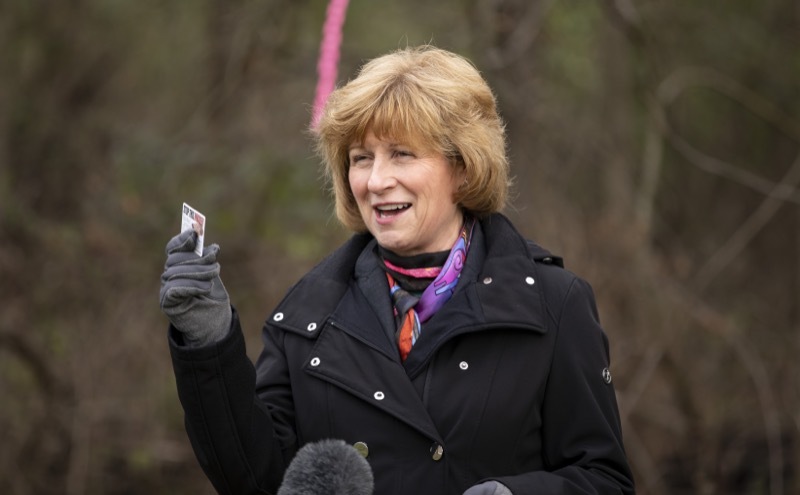 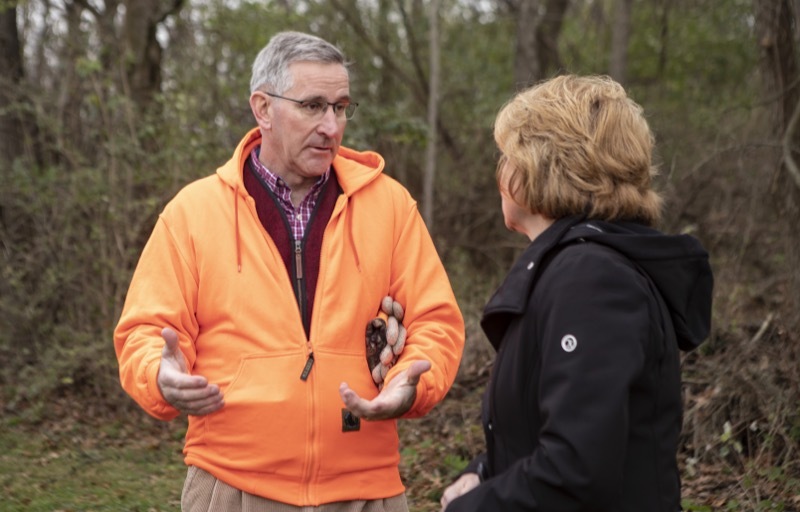 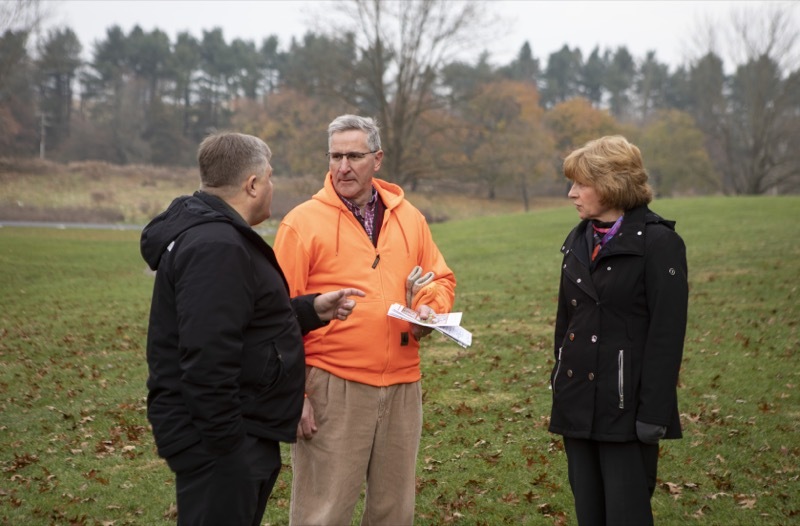 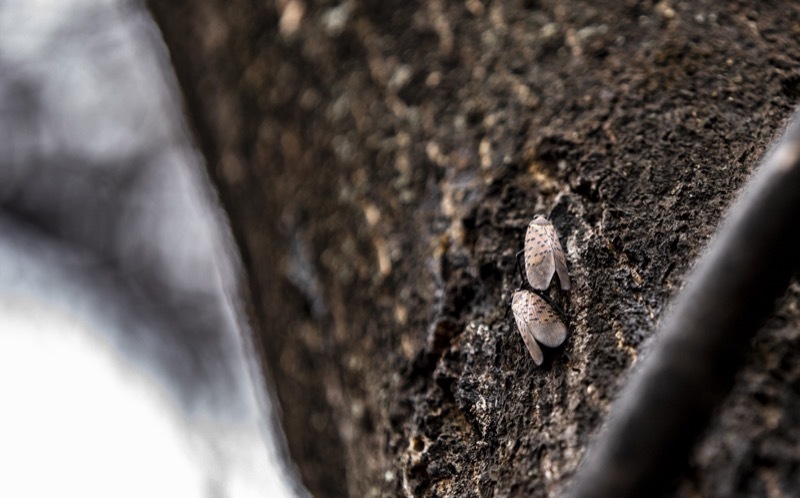 Today, the Pennsylvania Department of Agriculture (PDA) provided a year-end update on the state's efforts to control the spread of the Spotted Lanternfly, and joined the Pennsylvania Game Commission (PGC), and State Senator Judy Schwank (D-Berks) to encourage hunters to take action by scraping Spotted Lanternfly egg masses while they are out hunting. 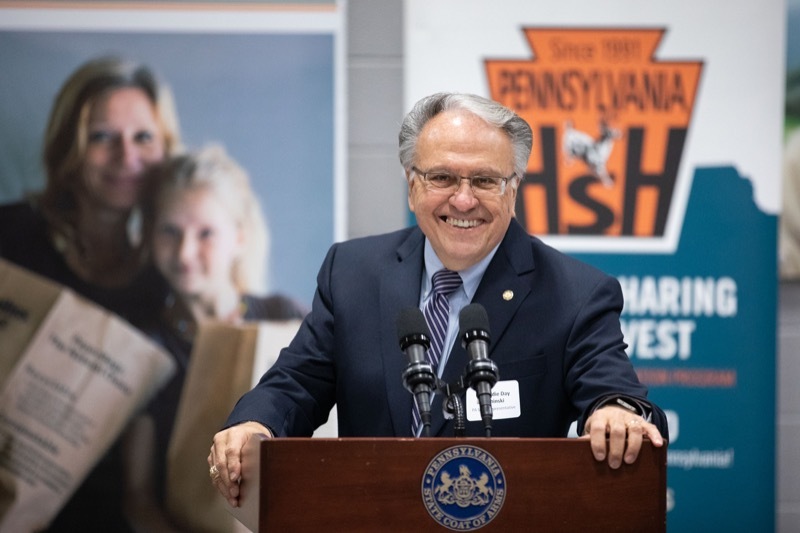 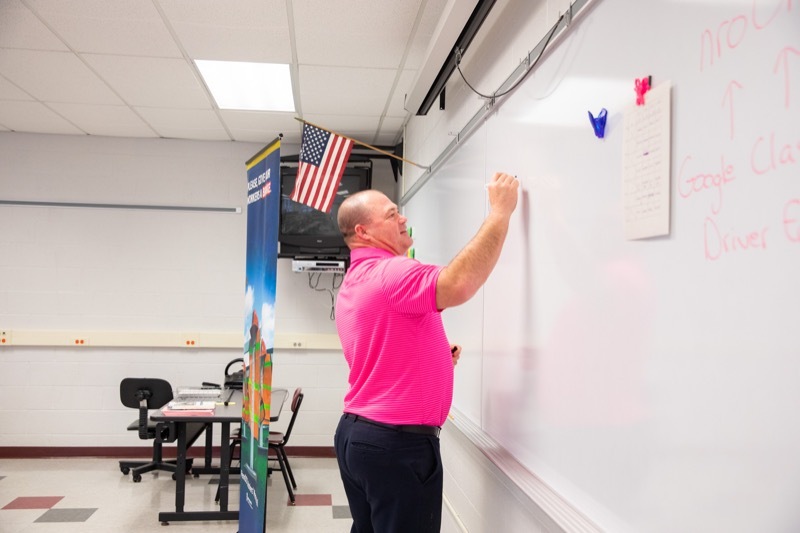 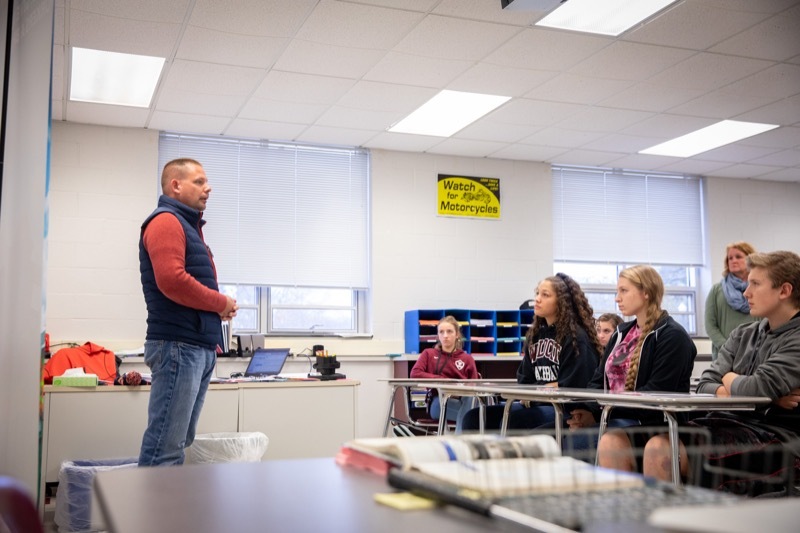 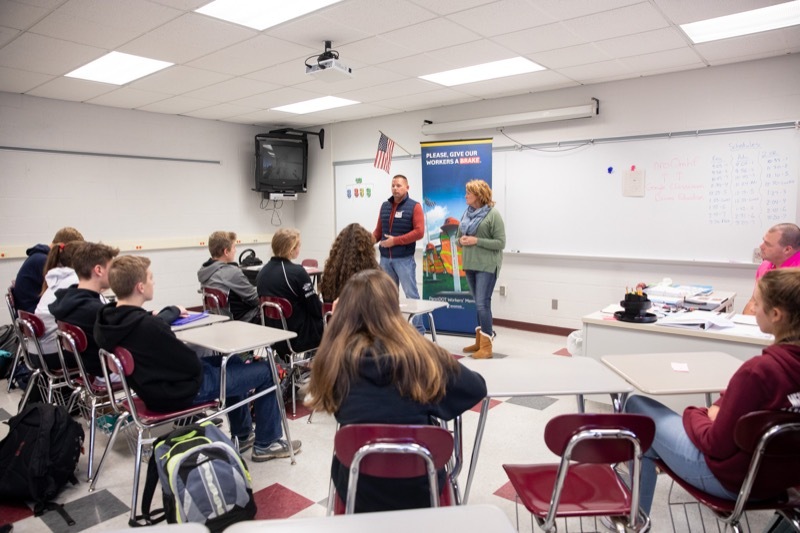 With the December 31 entry deadline quickly approaching, the Pennsylvania Department of Transportation (PennDOT) and the Pennsylvania Department of Education (PDE) are reminding high school students grades 9-12 to submit their entries for PennDOT's Innovations Challenge. 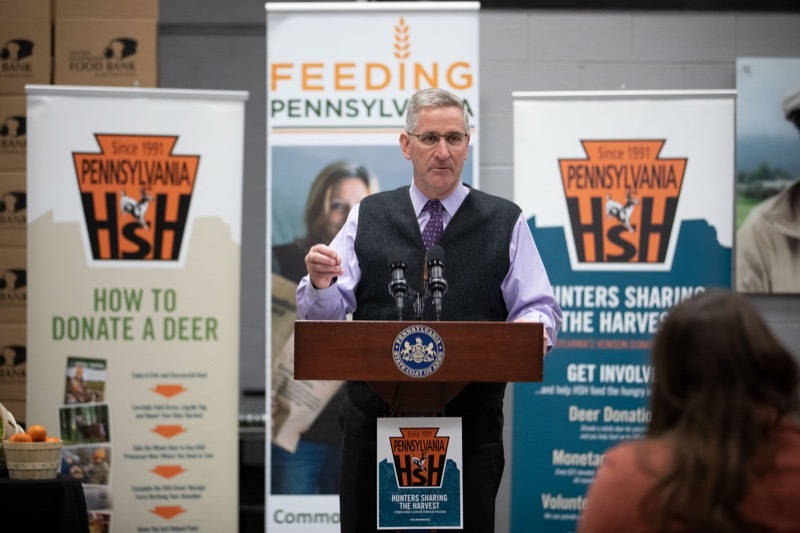 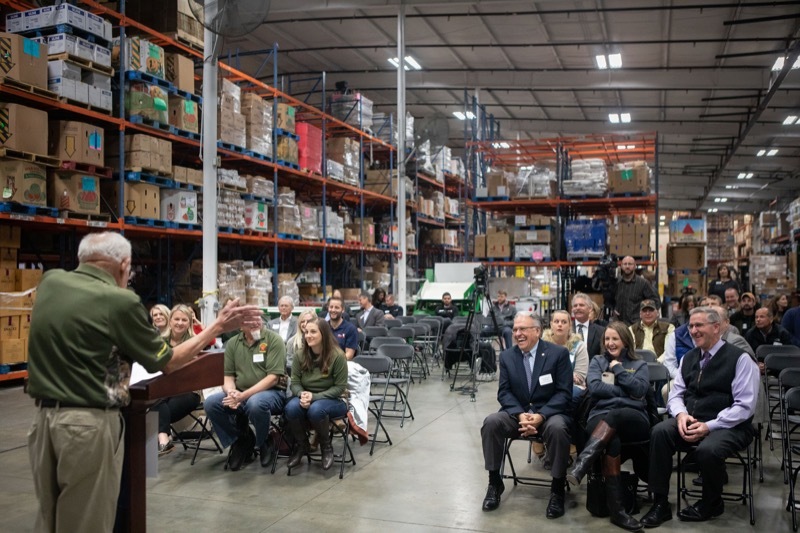 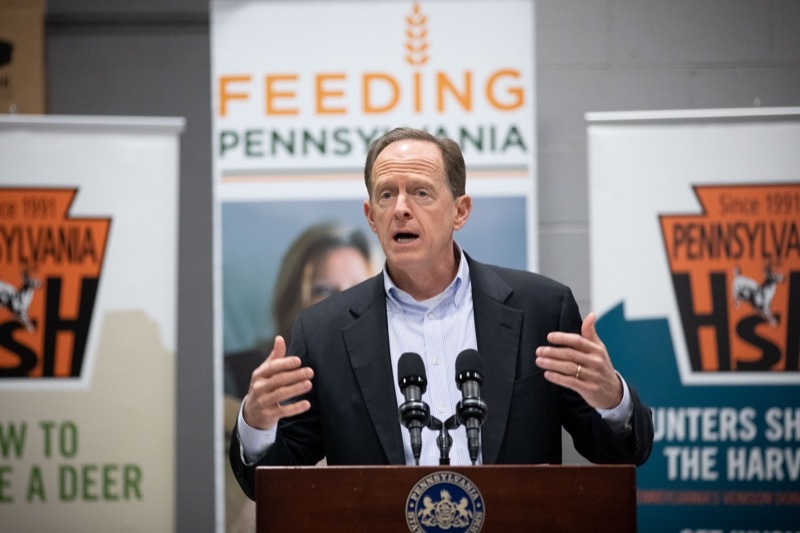 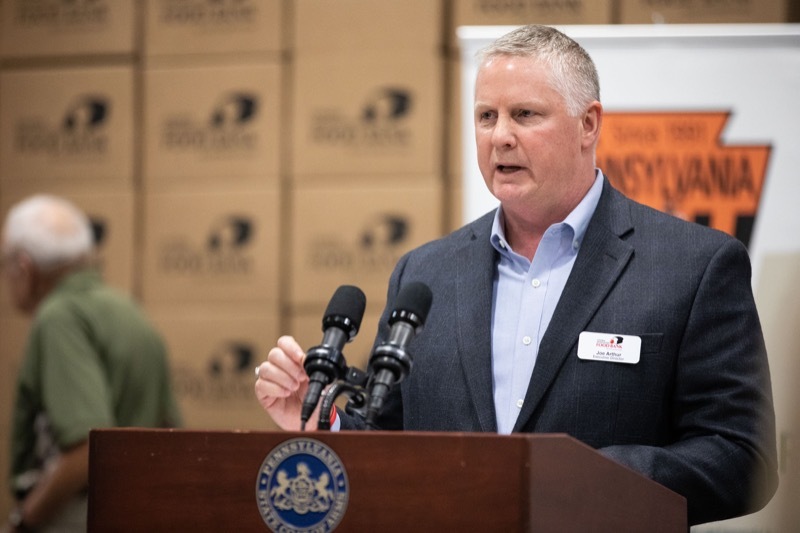 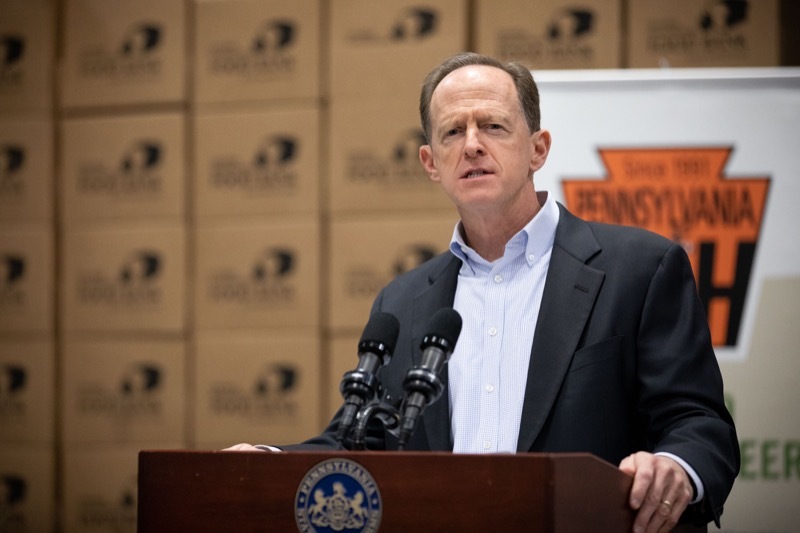 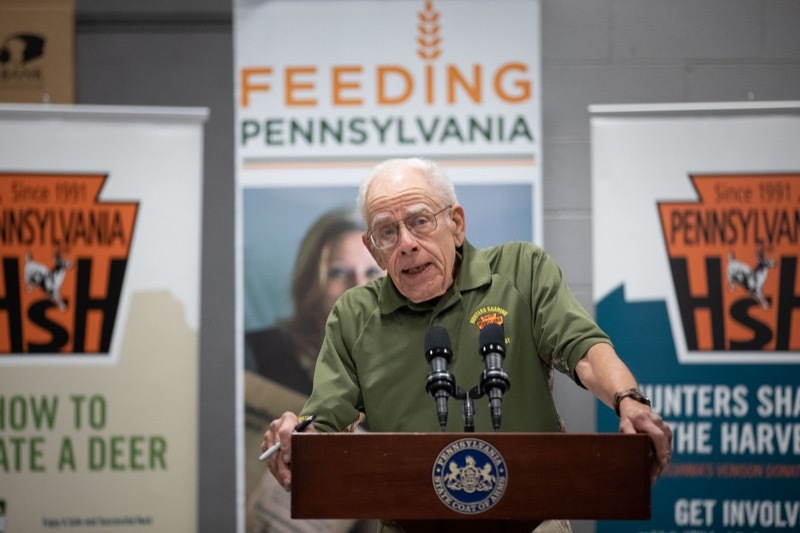 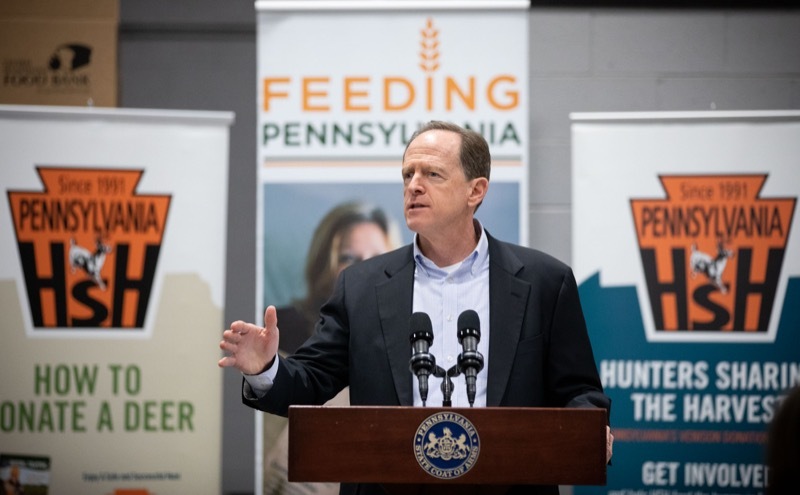 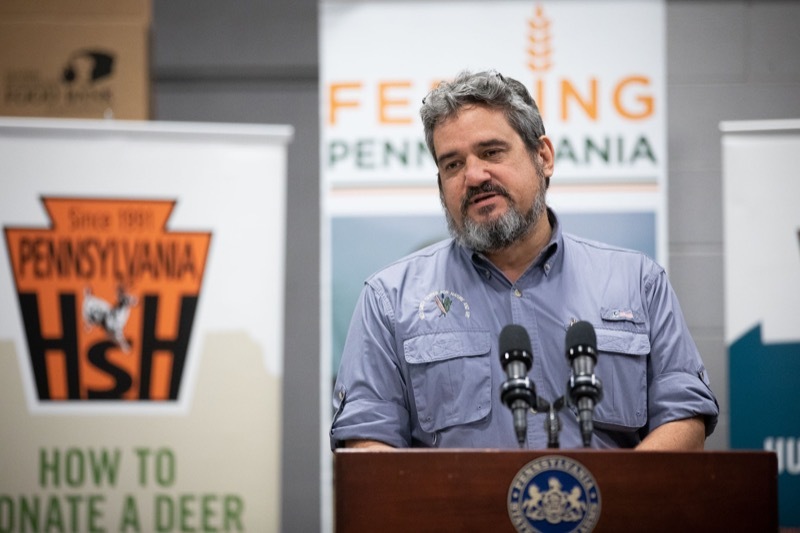 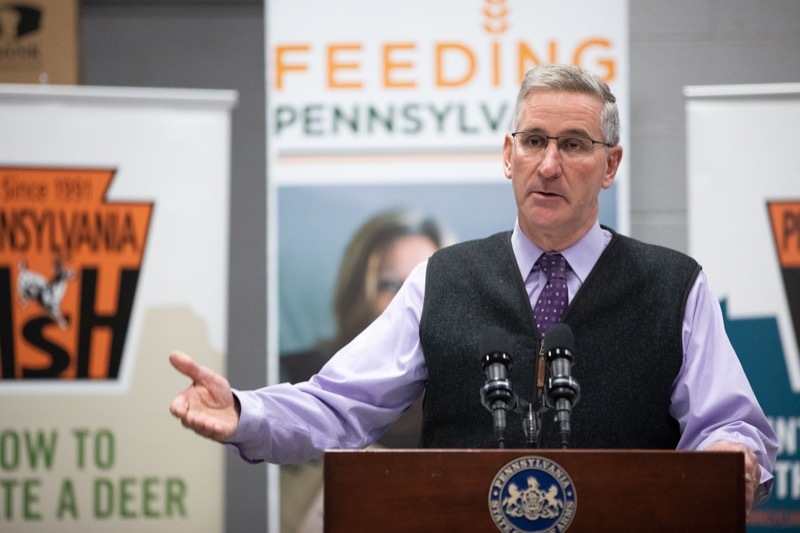 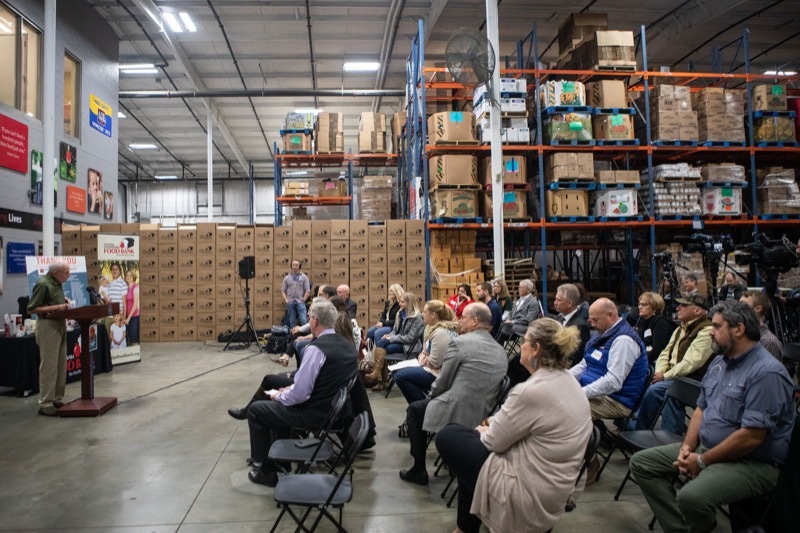 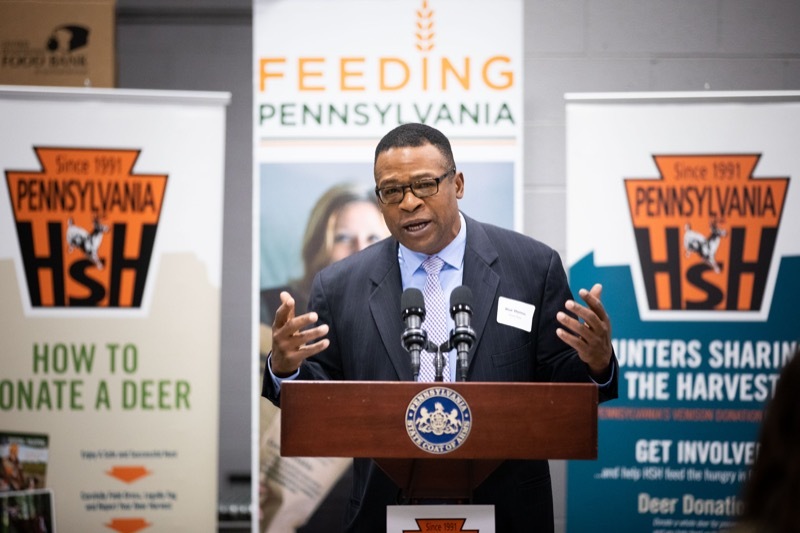 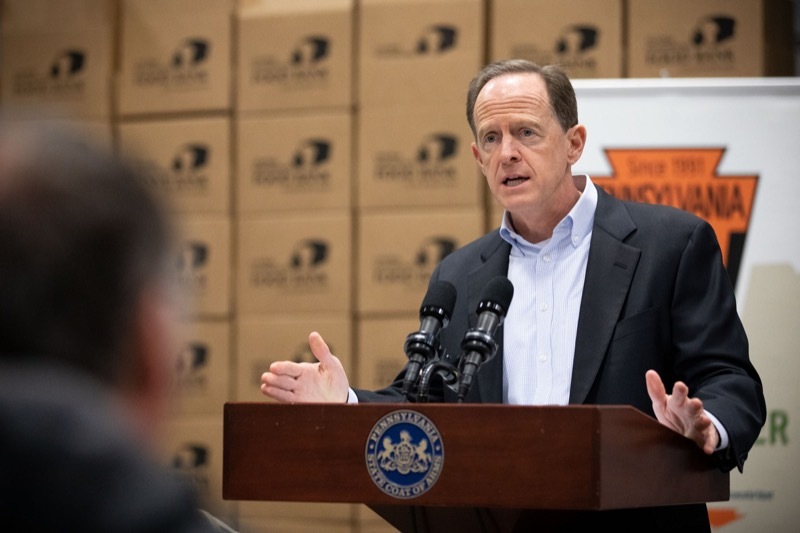 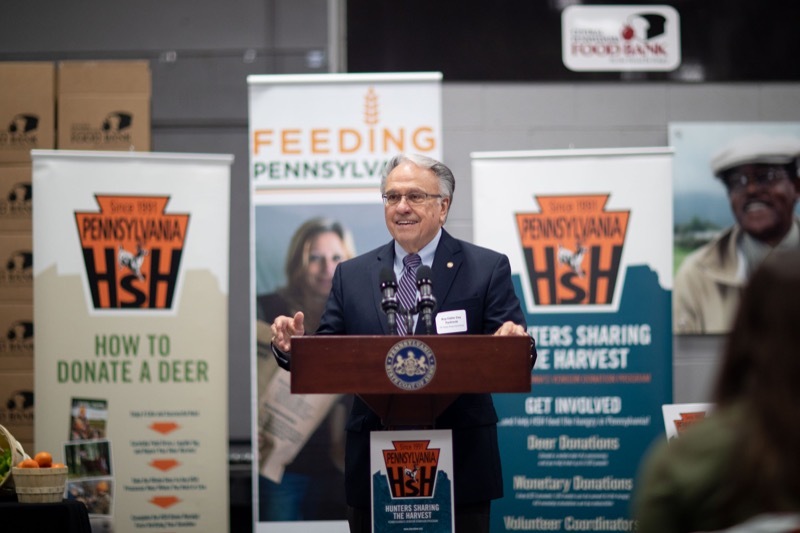 Thanks to record-breaking donations of deer meat from Pennsylvania hunters, generous donors, and a helping hand from the Wolf Administration, the state's charitable food system will provide more than half a million servings of ground venison through food banks, soup kitchens, and pantries throughout the commonwealth. 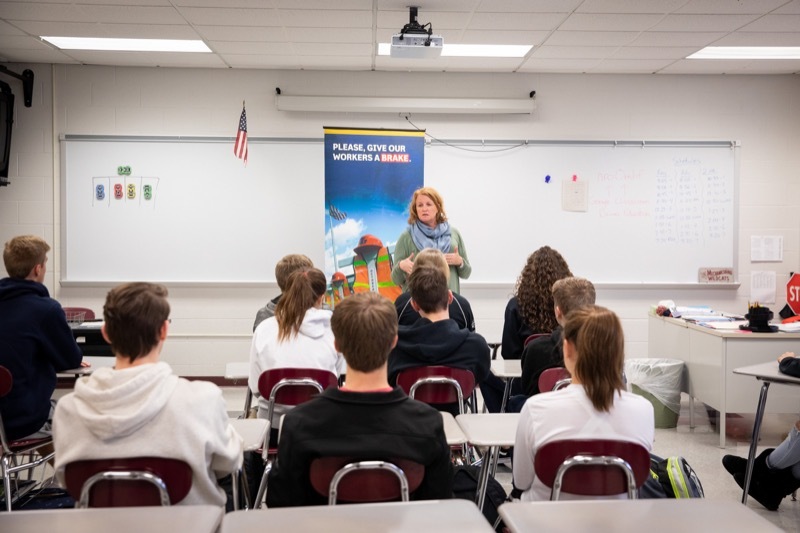 With the December 31 entry deadline quickly approaching, the Pennsylvania Department of Transportation (PennDOT) and the Pennsylvania Department of Education (PDE) are reminding high school students grades 9-12 to submit their entries for PennDOT's Innovations Challenge. 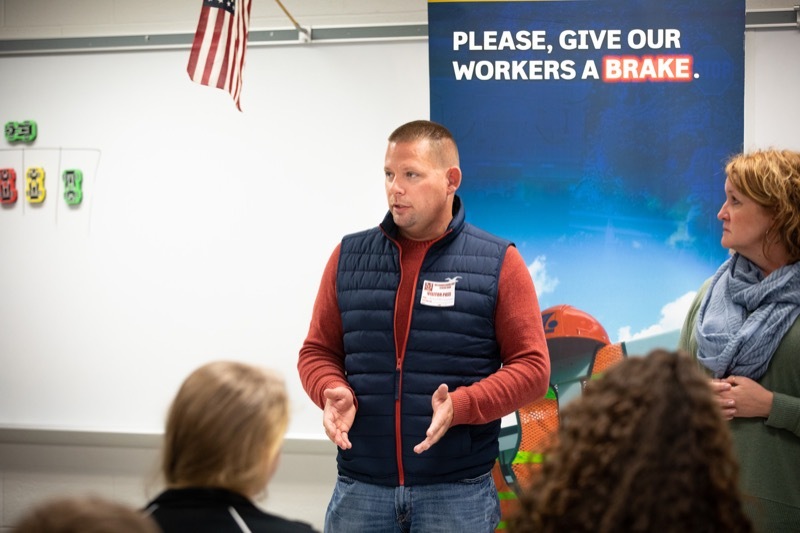 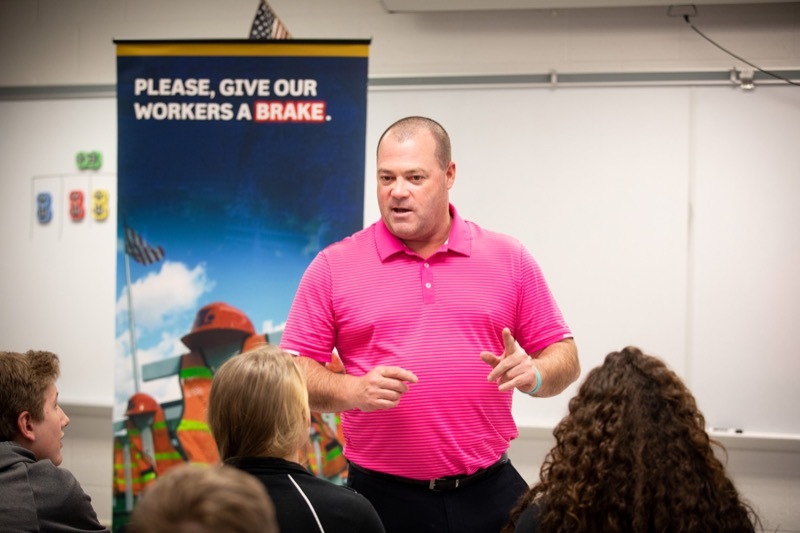 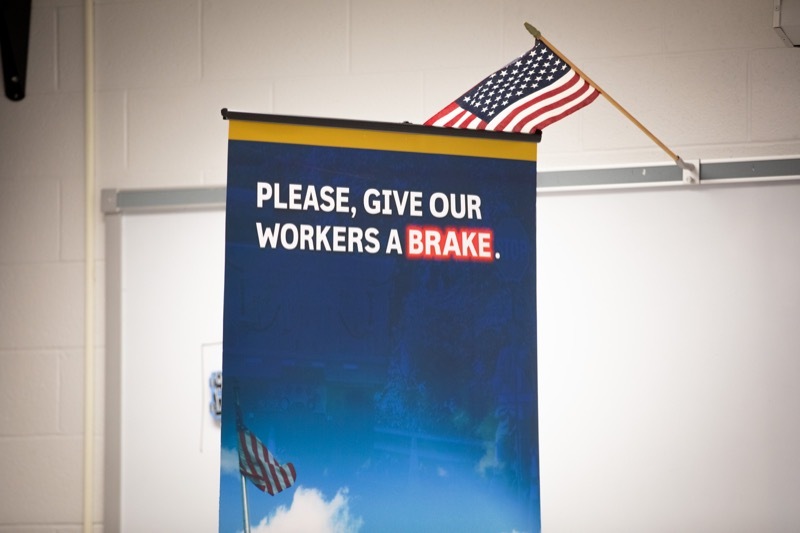 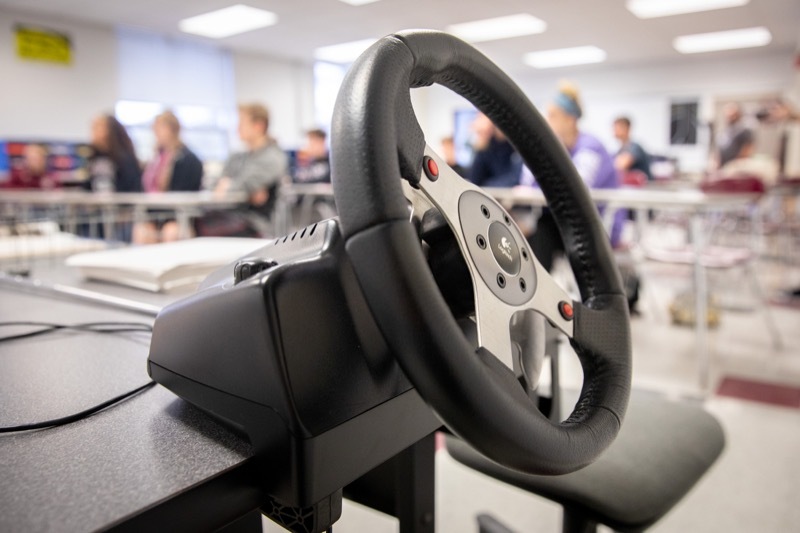 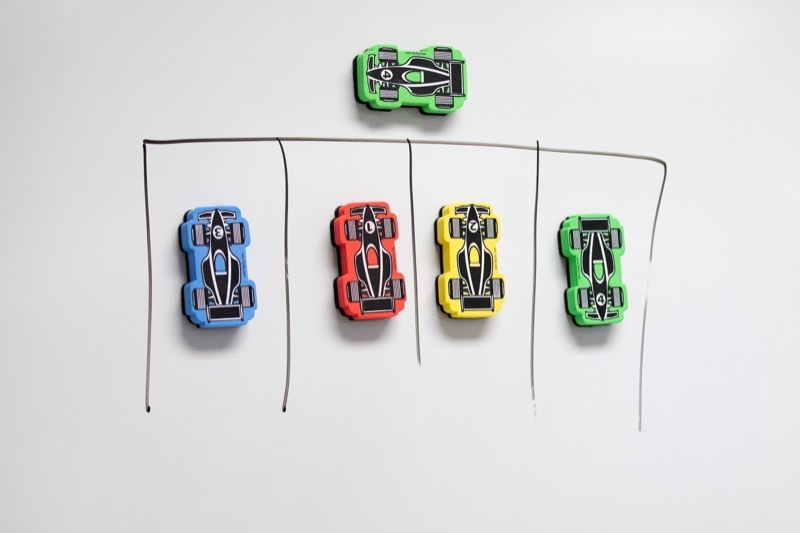 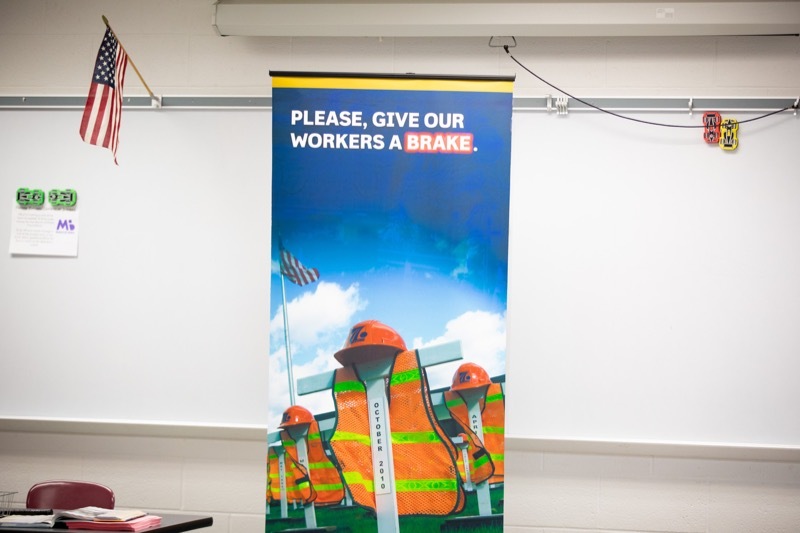 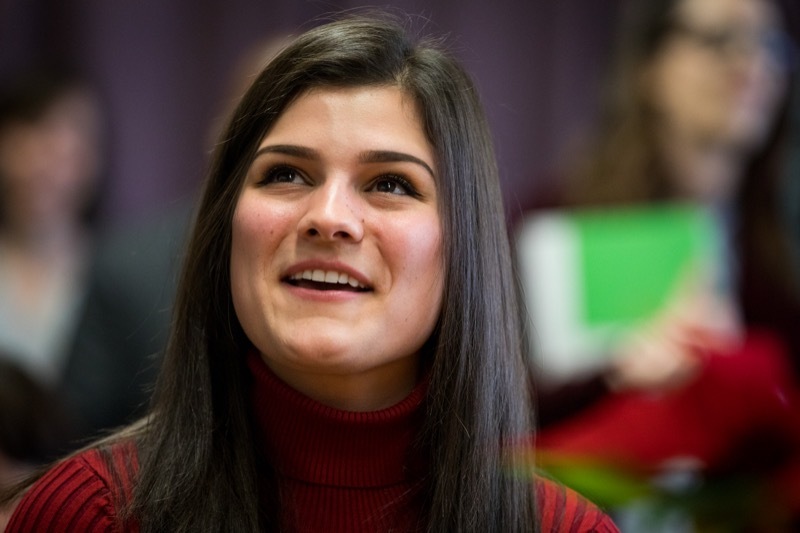 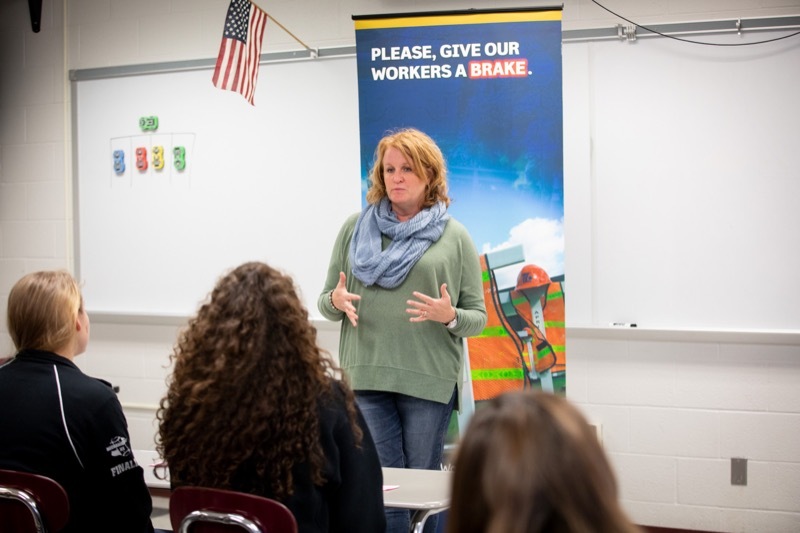 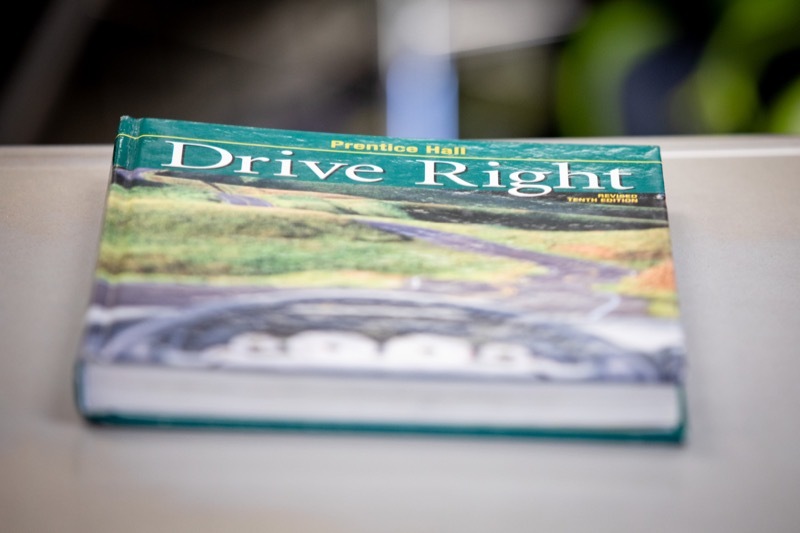 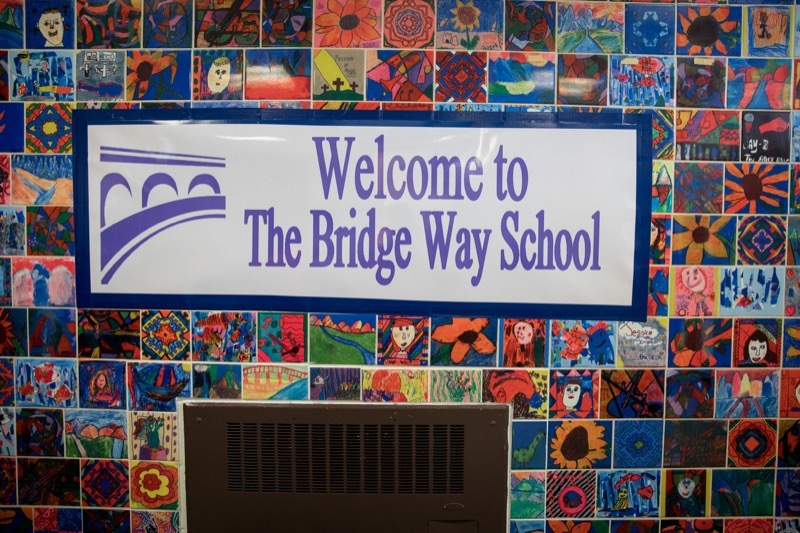 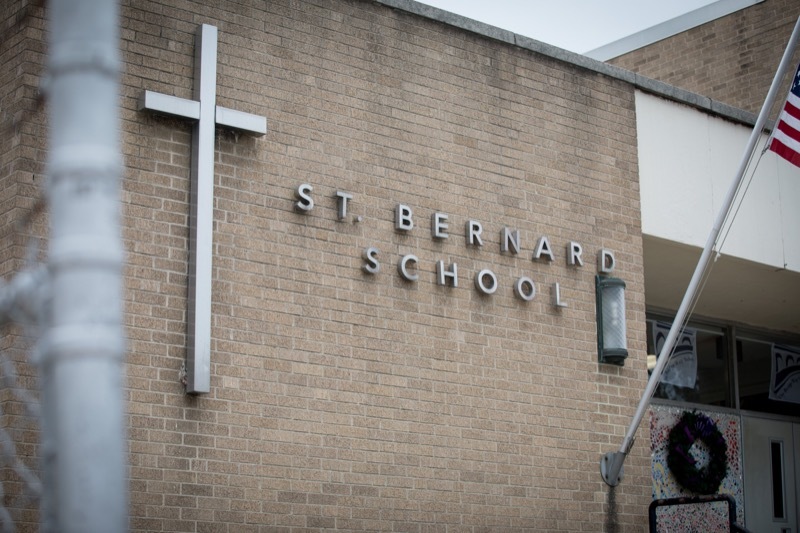 This year's challenge asks students to look at innovative methods, aside from laws and educational campaigns that can be developed in the next five to 10 years to get drivers to slow down in work zones. 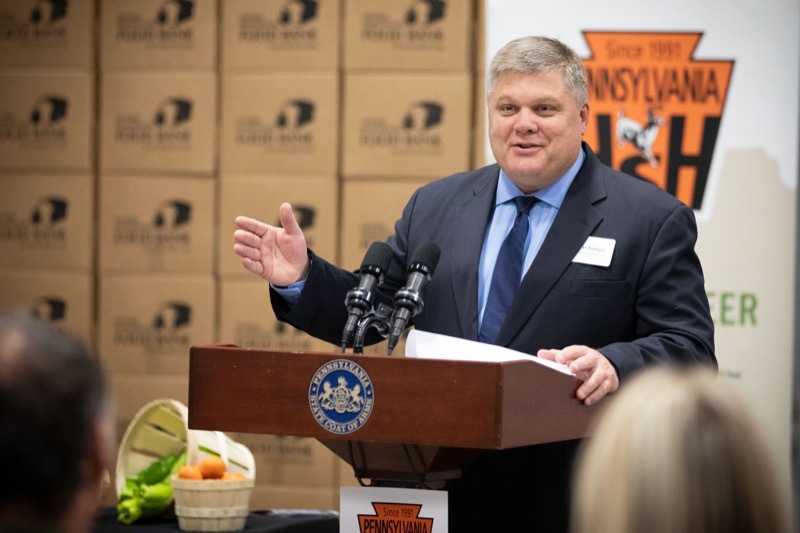 As Thanksgiving is just days away, Pennsylvanians across the commonwealth are dusting off their turkey fryers and preparing to deep fry a home-cooked meal. 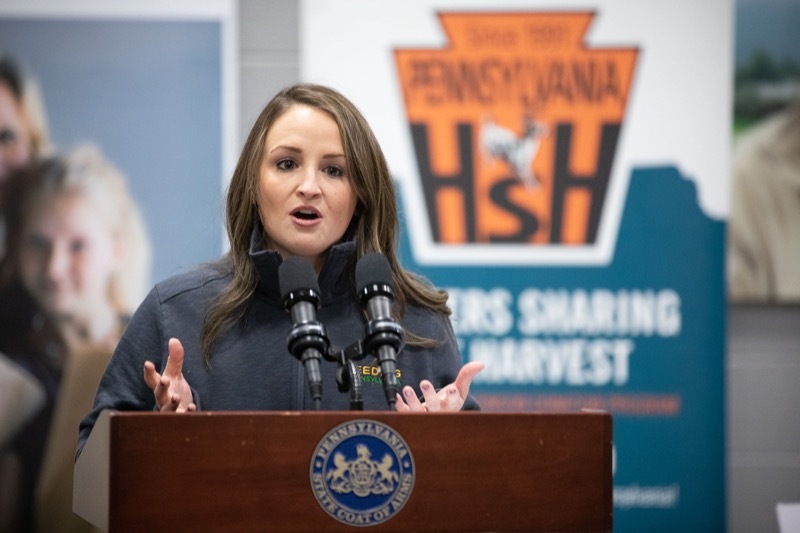 While a tasty alternative to the traditional oven-roasting method, turkey fryers potentially pose significant risks to personal safety and property. 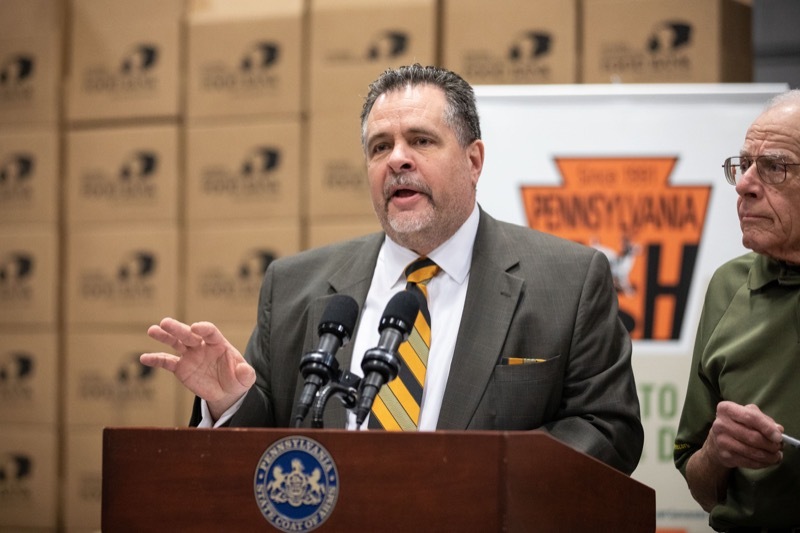 HARRISBURG - Auditor General Eugene DePasquale today hosted PennPIRG for the release of its 33rd annual Trouble in Toyland report on toys that could pose hazards to children, and called for renewed efforts to quickly get dangerous toys out of stores.